Chapter 13 is a flexible bankruptcy tool that helps people with difficult financial problems find solutions to a wide variety of debt pressures. Chapter 13 gives people time to pay down non-dischargeable debts like recent taxes or defaulted student loans. It helps people pursue effective alternatives to home foreclosure. In any situation where a three- to five-year period of freedom from creditor pressure will make a substantial difference in catching up with past-due debts, Chapter 13 can be extremely useful. To find out how experienced St. Louis Chapter 13 bankruptcy attorneys can help you get the most out of your debt relief options, contact the Law Office of Kenneth P. Carp in Bridgeton, MO for a free consultation. Our lawyers work with people to find effective solutions to the problems generated by financial pressures ranging from medical bills or tax liens to mortgage foreclosure. Chapter 13 is not easy. Its debt repayment features distinguish it from the faster and more complete relief of Chapter 7, but not everyone will meet the income-based means test of Chapter 7. If your adjusted household income exceeds the median income in Missouri, you will not qualify for Chapter 7 bankruptcy relief. Chapter 13 requires debtors to pay a portion of unsecured indebtedness through a monthly debt repayment plan that lasts for three to five years. The portion of unsecured eligible indebtedness that remains unpaid at the end of the Chapter 13 plan period is discharged. The amount of the payments to be made through the Chapter 13 plan varies with individual circumstances, but most of the monthly payment will usually reflect arrearages on debts like taxes, student loans or mortgage payments. In most cases, only a small portion of the monthly payment will need to pay down the general unsecured claims (for example, medical bills or credit card debts) that will eventually be discharged. A regular income is obviously a necessary requirement for performing under a Chapter 13 plan, and missing payments will normally lead to dismissal of the case and an end to bankruptcy protection. If involuntary job loss interrupts a Chapter 13 debtor’s income, however, the bankruptcy case might instead be converted to Chapter 7. Chapter 13 works best for people whose financial problems relate primarily to cash flow crises that can be relieved through the regular payment of secured debt arrearages over a long period of time. It is especially useful for those who are committed to staying in a house vulnerable to foreclosure, or for people whose financial problems mainly involve non-dischargeable debts. Many people file for Chapter 13 bankruptcy relief because they cannot satisfy the Chapter 7 means test, but Chapter 13 has other uses as well. If you have important assets that exceed your available exemptions, you can keep them in Chapter 13 by paying the equivalent value into your Chapter 13 repayment plan over time. If non-dischargeable tax or student loan debts make up a substantial portion of your indebtedness, the ability to pay down these obligations under Bankruptcy Court protection represents an important advantage of Chapter 13. Find out more about the ways Chapter 13 can help you find a way beyond difficult problems with mortgage foreclosure or non-dischargeable debts. 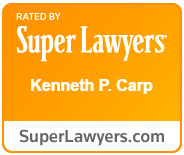 Contact the Law Office of Kenneth P. Carp in Bridgeton, MO for the information you need.